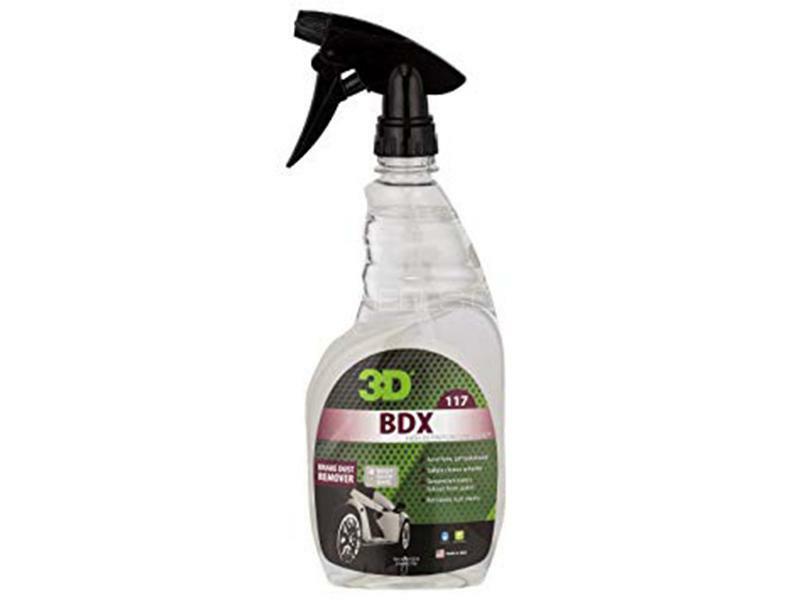 BDX, Brake Dust Remover will completely remove iron particles and fallout from automotive paint and wheels. This is the fastest, easiest way to clean almost any wheel. BDX is a simple spray formula that instantly turns purple when it comes in contact with iron partials. BDX will also safely dissolve fallout particles - replacing the use of harsh chemicals such as acid. BDX is acid free, Ph balanced and safely cleans and removes rust stains on wheels and decontaminated fallout from paint. BDX is VOC, Green and Biodegradable. Set your Alerts for Car Care Tyre Care in Karachi and we will email you relevant ads. Hi, I am interested in your auto part "3D BDX Brake Dust Remover 24oz - 117" advertised on PakWheels.com. Please let me know if it's still available. Thanks.